Have you tried showing a set or a large collection of digital snapshots to a friend or relative? Weren't they underwhelmed and a little bored by the number of all-too-similar shots of the same subject? Get rid of the duplicates automatically! Image Comparer™ scans your entire collection of images, analyzes their contents and locates files that look alike. Beginning with v3.3, Image Comparer is able to highlight image differences. Manually locating similar images may be fine if you have just a dozen images. But what if you have a hundred? If you do it by hand, it'll take you quite a while. If you are like most digital shooters, you probably have several hundred or even a few thousand digital pictures stored in various folders. Locating and removing duplicates can easily become a time-consuming nightmare, and may eventually even take away the fun of taking pictures. Hint: Duplicate Photo Finder! Difficult lighting and exposure problems, camera shake and digital noise can spoil your images. When you encounter difficult shooting conditions, you likely take a number of pictures, with somewhat different settings. Selecting the best shot out of a few duplicates is relatively easy, but what if you have hundreds of duplicate shots? Your viewers won't be overly impressed to see a dark shot, a blurry shot, and then just the perfect one followed by an overexposed view. Image Comparer™ analyzes your digital images and automatically selects the best shot out of the many duplicates on your system, allowing you to move or delete duplicate images in a couple of mouse clicks. Image Comparer ™ uses a content-based image search. This allows the program to search images by visual similarity. You can search for resized, rotated, and flipped images as well. We think our duplicate image finder is the best on the market today. Unlike similar products, Image Comparer™ does not just look for exact duplicates. Instead, it analyzes and recognizes an image's content (this technology is known as content based image search), and groups pictures that look alike. You can specify the level of visual similarity that is sufficient to consider pictures to be duplicates. View them in pairs or see the top ten similar images and keep the best one! Image Comparer ™ is extremely useful to professional photographers, designers, and webmasters who have "image-heavy" sites to maintain. The program is incredibly fast; after a minute or two, one can see how many duplicate images are stored and how much disk space will be saved by removing the duplicates. The "dupes" can then be removed all at once with a single click. Alternatively, a user can specify which images need to be deleted, moved or copied. The list of supported image file formats includes RAW, JPEG, J2K, BMP, GIF, PNG, TIFF, TGA and others. Image Comparer ™ is ready for immediate download; the evaluation period lasts for 30 days. This trial version finds duplicate photos, but does not allow moving, deleting or copying them. Find duplicate images with ease! We think our duplicate picture finder is one of the best solutions on the market. Image Comparer ™ requires a PC with Windows Vista/7/8/10 to run. For bloggers! Post an Image Comparer review to your blog and get a license for free. "Thanks to Bolide Software developers for Image Comparer! 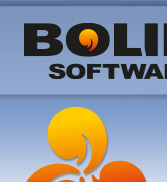 It's really fantastic like all the other Bolide Software programs. It's no more a problem for me organizing my huge collection of photos." Try the similar tool for audio files - Audio Comparer. Video Comparer - find and remove video duplicates by content.